So I have an update, I recently talked to an AIB and they gave me the timeline they expect the RTX 2070 and the XX60 card to hit the shelves by. NVIDIA always launches cards in pairs so even if the company announces the complete lineup at the event tomorrow, I am pretty sure we will only see the RTX 2080 Ti and the RTX 2080 hit the shelves anytime soon. I am also working on getting a supply schedule to get a better understanding of when the cards will be available after launch. Considering these are the AIB expectations of when they will send out shipments, they are prone to change without any further notice. Rumored specifications of the RTX 2070 have already been making the rounds and if they are to be believed then the card will ship with 2304 CUDA Cores and 8GB of GDDR6 memory. with a memory speed somewhere between 12-14 Gbps you are looking at a bandwidth of 384-448 GBps across a 256-bit wide bus. The TDP of this card should be lower ~ in the 180 Watt range. 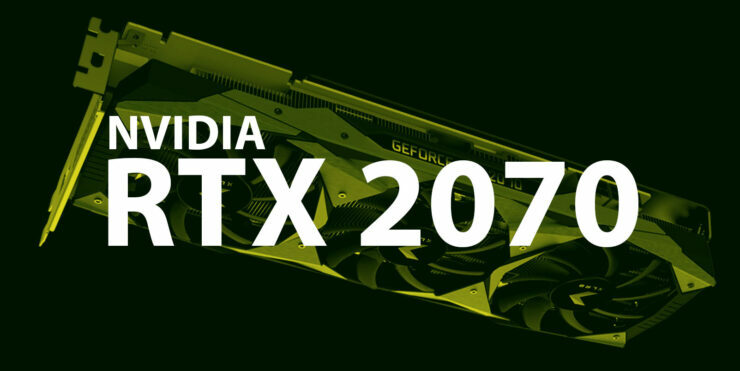 As for the XX60 graphics card, there are conflicting rumors regarding the same with some saying NVIDIA will adopt the GTX tag for the 2060 while others saying that the RTX 2060 will be the official handle. If the XX60 graphics card contains the ray tracing engine then it might make sense to brand it as an RTX device but the engine itself might be too weak to deserve the title. This is pure speculation of course and we will know soon enough tomorrow so there is very little point discussing this.